Italian investors are considering Vietnam a new bright spot in Southeast Asia. Pham Hoang Hai, executive director of the Italian Chamber of Commerce in Vietnam (ICham), told Kim Oanh about Italian enterprises’ plans in Vietnam and what would make Vietnam more attractive. According to chief of the Italian Trade Commission in Vietnam Bruna Santarelli’s opinion at the press conference on February 17 in Ho Chi Minh City, many Italian businesses have had plans to relocate traditional production bases in general and China in particular. Why do Italian enterprises choose Vietnam as an investment destination after departing from their traditional production bases in general and China in particular? Italian enterprises consider Vietnam a new bright spot in Southeast Asia for numerous reasons. The majority of Italian enterprises have investments in North America, the Americas, and Southern Europe, as well as Asia. However, labour costs in these regions are increasing fast, forcing Italian enterprises to seek new investment destinations. Vietnam has a competitive edge on many of its Asian competitors, including Laos, Cambodia, Malaysia, the Philippines, and Thailand, due to its political stability and macroeconomic development, as well as advantages in infrastructure. Besides, Vietnam is currently proving its wholehearted commitment to international integration through participating in numerous free trade agreements, including the Trans-Pacific Partnership Agreement (TPP) and the Vietnam-EU Free Trade Agreement (EVFTA). Furthermore, Vietnam has advantages in geographical location, human resources, fast economic growth, and the abundance of subsidies and incentives on offer. Furthermore, the domestic market, with a population of around 90 million, presents a great opportunity for foreign producers in general and Italian enterprises in particular to increase their sales. Which are the major sectors attracting Italian investment? Italian enterprises are strong in the mechanical-engineering sector, pharmaceuticals, manufacturing medical equipment and agricultural machinery, as well as garment and textile. It follows that these sectors are the most likely to lure Italian investments. 93 per cent of Italian enterprises are small and medium-sized, with high specialisation and productivity. For example, in Emilia Romagna province, despite the low population of only 4.5 million, there are approximately 500,000 enterprises operating in the mechanical-engineering sector, housing famous brands, such as Ducati, Lamborghini, Ferrari, Maserati, and Pagani Zonda. Thus, Italian enterprises’ relocation of their operations to Vietnam will open opportunities for technology transfer and the sharing of experiences, as well as enhancing the specialisation of Vietnamese enterprises. Italian investment in Vietnam is currently low, currently ranking the 31st amongst foreign investors in Vietnam. What should Vietnam do to attract more investment capital from Italian enterprises? According to the Foreign Investment Agency (FIA)’s statistics, as of December 20, 2015, Italian enterprises invested a total capital sum of $340.2 million in 67 projects. 47 among these are wholly-owned by Italian firms and the remaining 20 are joint-venture projects. The investment inflow to Vietnam is still not commensurate to the two countries’ potentials, because Italian enterprises lack information about Vietnam. Furthermore, Vietnam’s supporting industry has yet to meet the demands of foreign enterprises in general and Italian companies in particular. 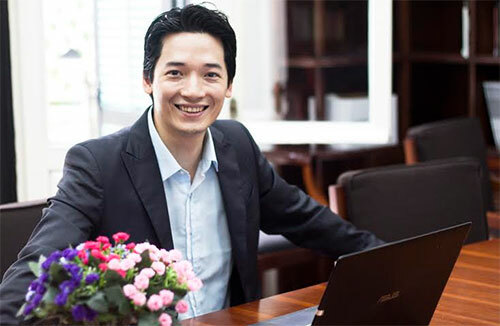 Almost all Vietnamese enterprises have little to show in terms of management capacity and, as a result, their products cannot meet our demands, especially when factoring in delivery time and precision. Thus, the Vietnamese government should issue policies to stimulate the development of the supporting industries, focusing on some key sectors. Vietnamese enterprises should also take measures to their hands and be proactive in enhancing their management capacities. The two countries must organise more business-to-business trading events to create opportunities for the two countries’ enterprises to understand and share information as well as explore the challenges and issues of the co-operation process.